Sunday the 2nd we headed to Sea World for our last visit of the season... or the first visit of the year - however you want to look at it. They'll be closed until the last weekend of February before they open back up for weekends. I wanted to go one last time for two reasons - the first being we haven't seen the Shamu show the past couple visits and Abby's been asking to see it. This show time in particular was a special one because they were giving the baby Sakari her 1st birthday cake after the show. They also gave the whales some whipped cream. 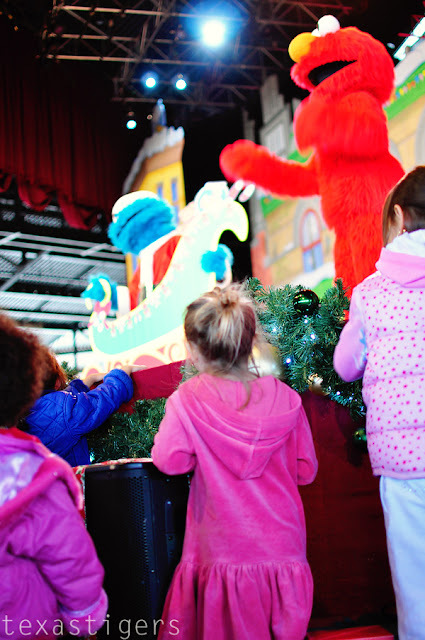 Next up the Sesame Street show - it was still the Christmas show but fun none the less. Micah even enjoys this show because he's seen Sesame Street with Abby. About halfway through the show the kids seem to migrate to the stage to be close to the action. Usually we don't go down because I don't like feeling like we are blocking other people's view and it's actually harder to see it looking up. However Abby always wants to go down so we did this day. The reason to be up front? 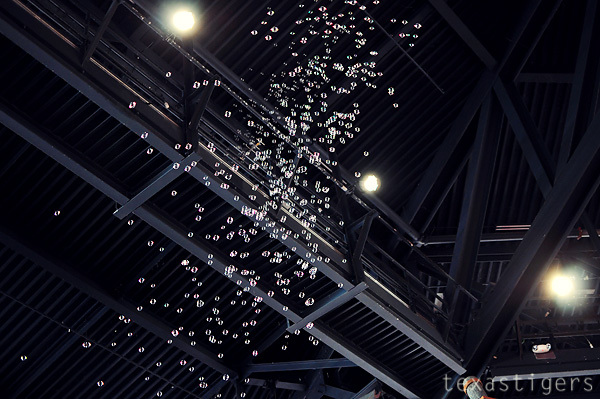 The bubbles that come down. 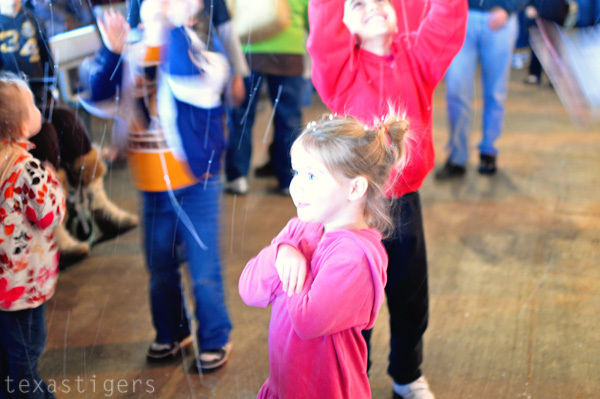 The characters wanted snow but Abby Caddaby got them bubbles instead. At the end of the show however they do send down some snow. Abby was so excited she got to be in both the bubbles and the snow. This snow is very likely to be the only snow we'll see this year! It's been so warm this winter that I don't have high hopes for a repeat of a snow flurry like last year. After the show we talked about what to see next while I got Micah buckled in. 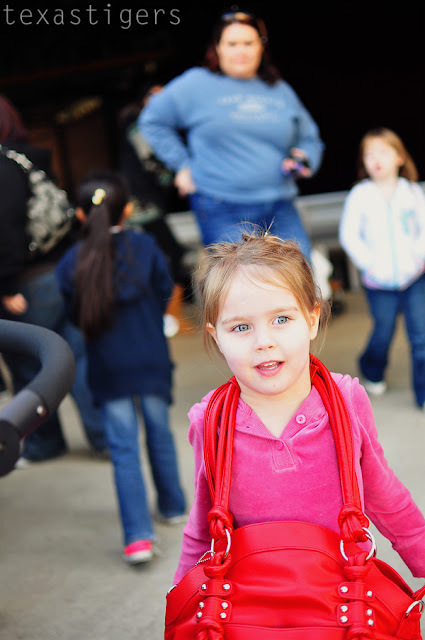 Abby held onto my pretty new Epiphanie camera bag while I buckled Micah into the stroller. Since we had been sitting in the shade of the Sesame show the kids got a little chilly. Because of how quickly it cooled off our last visit I came prepared with their cozy blankets they got for Christmas from my aunt. 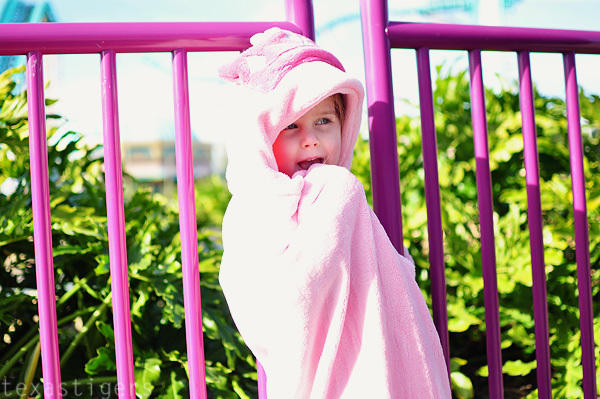 Abby wrapped up in her blanket while we watched the Atlantis roller coaster splash down a couple times. And the second reason for visiting before they closed? To see the baby penguins. 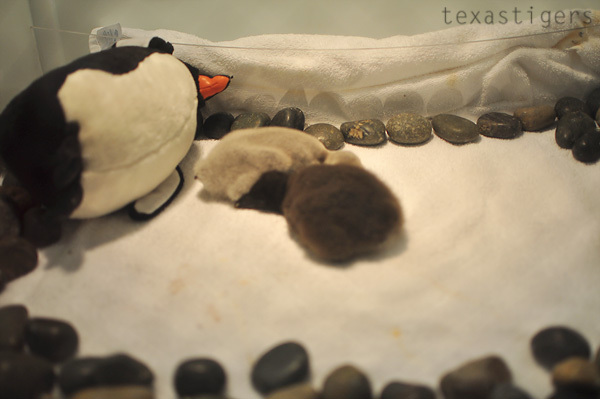 These little babies were 10 & 15 days old. One is a Rock Hopper penguin and the other is a Chinstrap penguin. 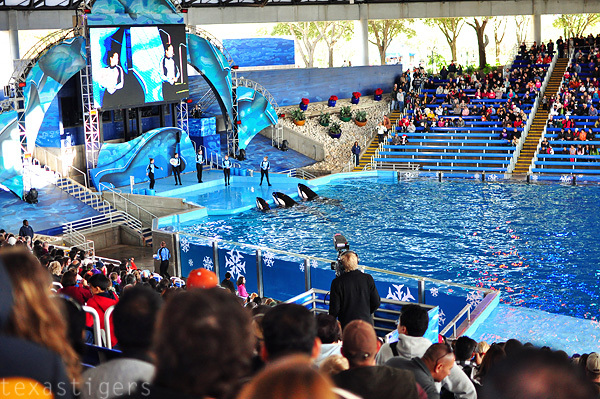 I'm sure they'll be a little bit bigger the next time we visit Sea World. Your bag is adorable, BTW!